If you’ve travelled the world at all you will know that there are a few items that you can find almost anywhere you go. A can or bottle of coke to quench your thirst is one such item and it can be found anywhere from the largest metropolis to the smallest and most remote communities in almost any part of the world. The obvious conclusion is that not only does Coke have universal brand recognition and marketing reach but must also have a very sophisticated and well organized distribution system that allows their products to reach consumers far and wide. What isn’t always as easy to find in the smallest and most remote communities in parts of the world including Africa, is much needed medicines and vaccines. The delivery and supply chain capabilities for these essential items is not nearly as efficient or well developed as that that ensures the delivery of a refreshing bottle of Coke. So, isn’t it wonderful that Coke recognized the important contribution they could make in assisting government agencies and aid organizations in the distribution of these critical items to hard-to-reach towns and villages across Africa; thus was born Project Last Mile. Project Last Mile, launched in 2010, and is a collaborative effort of The Coca-Cola Company, The Global Fund, USAID and The Bill & Melinda Gates Foundation. The project applies Coca-Cola’s logistic, supply chain and marketing expertise to the challenge of delivery of vaccines, medicines and medical supplies to hard-to-reach and remote communities across Africa. And better yet, just like a Coke tastes best cold, some medicines and vaccines need to be kept cool and Coke is able to help with that too. The project has been successful in Tanzania, Mozambique and Ghana and is expanding to Nigeria. Let’s raise a glass of Coke and let’s toast Coca-Cola and their partners for the work they are doing to tackle SDG # 3 Good Health, and #10 Reduced Inequalities. Cheers! Awesome post! Sharing this with a friend in Australia who works for Coca Cola. Sometimes employees don’t know about the good their company is doing across the world. thanks for sharing with your friend in Australia. Working for a multi-national company as well, you are right and we don’t always know what is going on in other parts of the world. You inspire once again Cath! 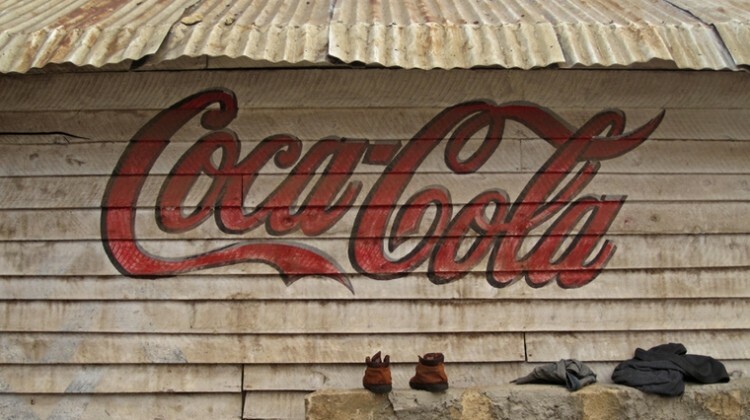 how brilliant Coke is to offer medicines to remote communities using their existing supply chain. when I raise a glass of coke it will have a whole new meaning having read this blog. thanks and love your new blog pic!